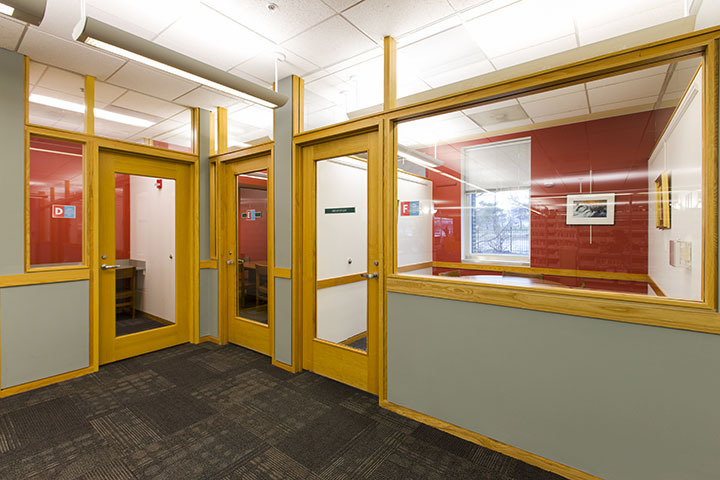 The Adult & Teen Services Department has eight study rooms. These rooms are intended for use by small groups working on projects or students being tutored, but individuals may also use them. You do not need to be a Woodridge resident to use these rooms. The rooms range in occupancy from one to six people. These study rooms are available for up to three hours, with time extended if no one else is waiting. Rooms may be booked a week in advance. An ID (preferably a library card) is taken when an individual or group signs in at the Adult & Teen Reference Desk. The Guidelines [PDF] for use of the study rooms are posted on the doors of the rooms. 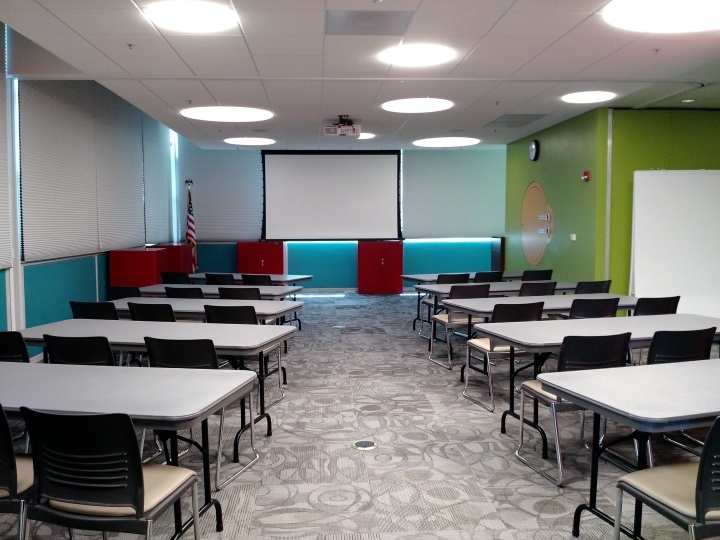 The Mahlke Meeting Room is available for larger groups. Reservations must be made at least two weeks in advance. Please see the online meeting room reservation page for more details or to reserve the meeting room.